Black mold is an unsightly, unhealthy household hazard that no homeowner should have to deal with. But the presence of black mold in your basement shouldn’t be something you have to live with —especially when black mold removal experts are just a phone call away. 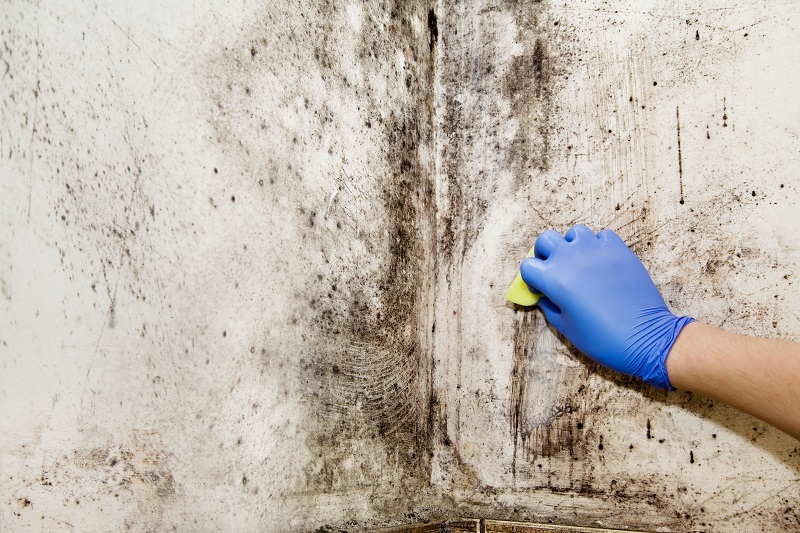 If your home has become infected with black mold, you need to find a contractor that you can trust to make sure that the mold is removed properly so it doesn’t come back. At Virginia Basement, we have the knowledgeable professionals and state-of-the-art-equipment you need to ensure the black mold removal is successful. We will assess your home to determine the extent of the black mold as well as the source of moisture causing the mold and remediate it. Otherwise, the mold will return. We will seal the basement affected by black mold to prevent cross-contamination with uncontaminated rooms. After the black mold has been removed, we will clean your air of spores using HEPA filters. It is advised to never try and remove black mold by yourself! Black mold is toxic and a professional will have the proper safety gear and equipment to ensure health and safety are prioritized during the mold removal. When you decide to take care of black mold in your basement, you’re choosing to take advantage of all of the space in your home and improve the comfort and the value of your house as a whole – not to mention you are keeping your family safe. We understand the importance of great business relationships and work hard to make sure that we can count you among our return customers. You’ll see that we absolutely understand how much you value your home. Our friendly, experienced professionals do everything they can to put your mind at ease and ensure you’re confident in their abilities. We never use subcontractors, and we’re always ready to start your project. Our friendly professionals are committed to delivering the kind of top-notch customer experience that you’re sure to love. We understand that being the right company for you takes more than the right equipment, the best professionals and a lot of hard work – it takes a real dedication to delivering the best customer service every time. As a full-service basement restoration and waterproofing company, we’re happy to provide everything it takes to get your basement exactly the way that you want it. Whether it’s water damage restoration and black mold remediation, or in-depth finishing and remodeling, we have what it takes to deliver the results you want. You’re sure to be surprised at just how quickly we can change your uninviting, dark and damp basement into a warm, usable room that you and your family will love. We offer black mold removal services in Richmond, VA, as well as Midlothian, Fredericksburg, Charlottesville, Williamsburg, and Ashland.